Earlier, we saw that dividends were taxed unfavorably for individual investors. This fact is a powerful argument for a low payout. However, there are a number of other investors who do not receive unfavorable tax treatment from holding high-dividend yield, rather than low-dividend yield, securities. Corporate Investors A significant tax break on dividends occurs when a corporation owns stock in another corporation. 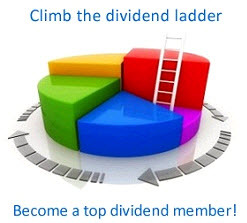 A corporate stockholder receiving either common or preferred dividends is granted a 70 percent (or more) dividend exclusion. Since the 70 percent exclusion does not apply to capital gains, this group is taxed unfavorably on capital gains. As a result of the dividend exclusion, high-dividend, low-capital gains stocks may be more appropriate for corporations to hold. As we discuss elsewhere, this is why corporations hold a substantial percentage of the outstanding preferred stock in the economy. This tax advantage of dividends also leads some corporations to hold high-yielding stocks instead of long-term bonds because there is no similar tax exclusion of interest payments to corporate bondholders. 5M. Gordon, The Investment, Financing and Valuation of the Corporation (Burr Ridge, Ill.: Richard D. Irwin, 1961). PART SIX Cost of Capital and Long-Term Financial Policy zero tax brackets. This group includes some of the largest investors in the economy, such as pension funds, endowment funds, and trust funds. There are some legal reasons for large institutions to favor high-dividend yields. 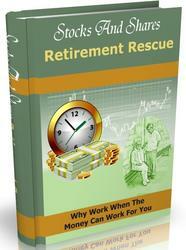 First, institutions such as pension funds and trust funds are often set up to manage money for the benefit of others. The managers of such institutions have a fiduciary responsibility to invest the money prudently. It has been considered imprudent in courts of law to buy stock in companies with no established dividend record. Second, institutions such as university endowment funds and trust funds are frequently prohibited from spending any of the principal. Such institutions might therefore prefer to hold high-dividend yield stocks so they have some ability to spend. Like widows and orphans, this group thus prefers current income. However, unlike widows and orphans, this group is very large in terms of the amount of stock owned.